Shaped like a gun-handle, SMOK MAG Kit is an attractive and powerful vapor device powered by dual 18650 batteries with unique battery installation like a real gun. Together with 225W max output, exquisite fire key, high performance VW/TC modes with HD user interface and new revolutionary TFV12 Prince tank, SMOK MAG TC Kit will bring you a pleasantly surprised vaping. 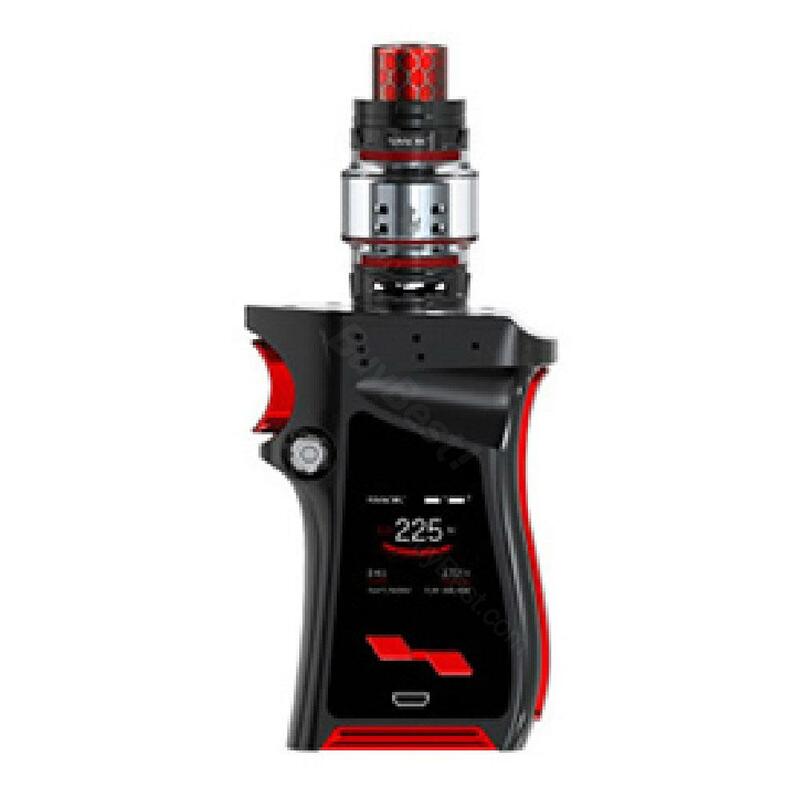 Smok Mag Kit Powered by dual 18650 batteries, MAG MOD fires up to 225W max output with good performance VW/TC modes which could satisfy almost all your vaping needs. with the unique battery installation and flower-shaped button, SMOK MAG brings you a cool feeling like a real gun. And the innovative TFV12 Prince tank feature 2ml/8ml juice capacity with Wild Cobra resin drip tip and top refill system. 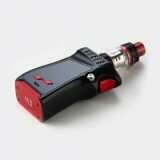 What’s more, it uses new and powerful V12 PRINCE Q4/X6/T10 Cores to provide a great vaping experience. Don’t hesitate. 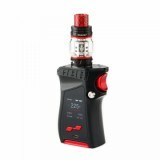 The SMOK MAG 225W Kit is absolutely a worthy vapor device. • It doesn't come with 18650 battery. • You can buy replacement coils/RBA/parts at BuyBest. 1. It's very nice to do it and not to make up some kind of iridescent material. 2. Its button has a strong good pressure point and is stable in its erection, so it will not be a problem. 3. The screen is something wonderful. We can get a lot of information about it and there are no problems with its brightness. 4. 510 steel joints and good springs. 5. The battery "place" :D 6. Switch to the electronics. Compared to its price, it's comparable to the more expensive MODs, because it handles the battery well and smoothes it evenly. I have not tried TC mode so I can not open it. 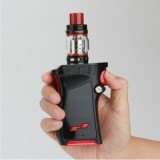 The SMOK MAG kit has a great-looking shape and design.